• Adjustable tablet tray suitable for tablets 7-12.5"
Designed to help educators get the most out of their tablet devices, while also being suitable for the home or for use while travelling. 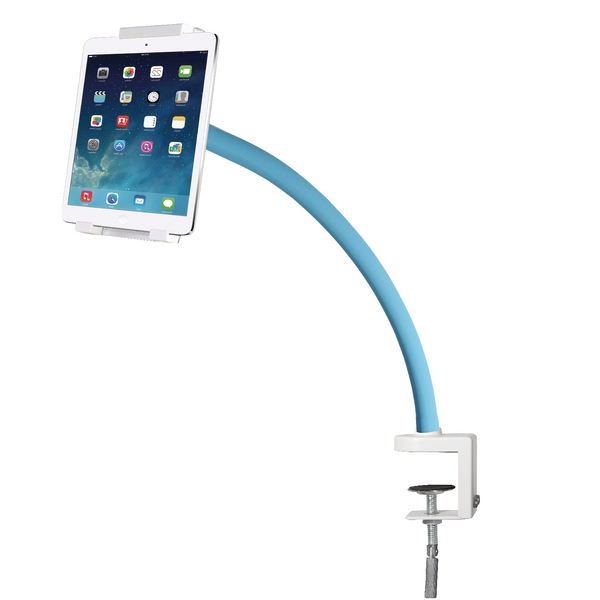 Ideal for teachers who want to make use of an iPad or tablet in the classroom to share student work or a demonstration, or attaching a tablet to an extension pole to reach an awkward camera angle. Features a simple, adjustable clamp which can attach to a desk, partition or bed, and also incorporates a flexible gooseneck with ball-and-socket joint to provide easy positioning.